Software: NetEnt, Betsoft, iSoftBet, Quickspin, Pragmatic Play, Evolution Gaming, Ezugi, GameArt, and Xplosive Slots. 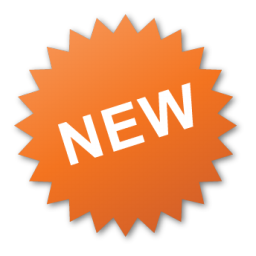 Games Available: Over 800 games, including: Video slots, Video poker, Blackjack, Roulette, and Classic slots. AU Slots Casino is a NetEnt online casino owned and operated by Mirage Corporation N.V. and is licensed in Curacao. The company also operates LuckyStar.io. 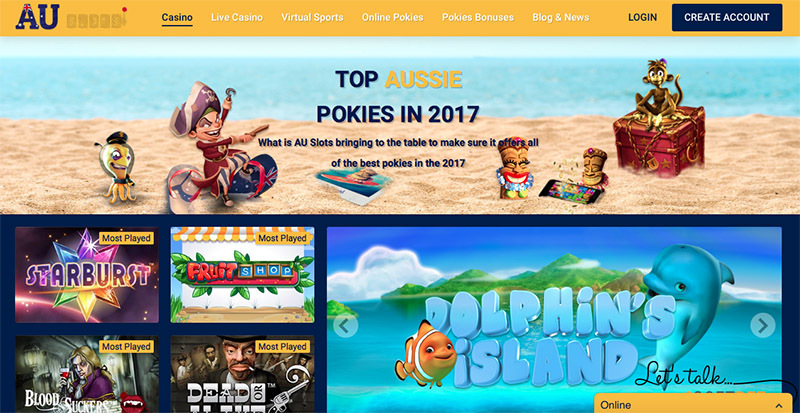 AU Slots Casino is a new online casino that is geared towards Australian players, even though players from the rest of the world can also sign up. AU Slots is a bouquet casino and incorporates a casino, live casino, and virtual sports section. Play games from the top software developers, such as: NetEnt, Betsoft, iSoftBet, Quickspin, Pragmatic Play, Evolution Gaming, Ezugi, GameArt, and Xplosive Slots. AU Slots has a premium package with NetEnt. 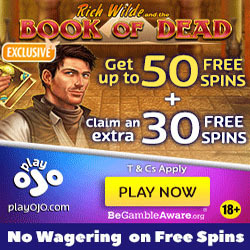 Play over 100 of your favourite NetEnt pokies, including: Bloodsuckers, Starburst, Gonzo’s Quest, Dead or Alive, Divine Fortune, Twin Spin, and Lights. AU Slots Casino also has a premium Pragmatic Play package with over 100 video slots from which to choose. Play games such as: Beowulf, Journey to the West, Hercules Son of Zeus, Black Diamond, 7 Monkeys, Lucky Dragons, Hot Safari, The Catfather, and Aladdin’s Treasure. The GameArt premium package includes 2016 and 2017 releases such as: Golden Dragon, Thunder Bird, Jade Treasure, 88 Riches, Lucky Babies, 3 Kings, and many more. 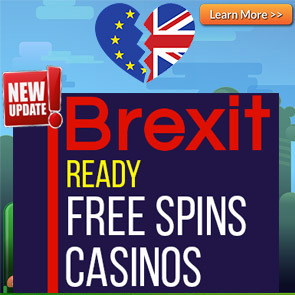 There are over 75 Betsoft pokies that are available, and these include: Good Girl Bad Girl, Greedy Goblins, Rook’s Revenge, Aztec Treasure, Mamma Mia, and Mad Scientist. Also play the latest releases, such as: Charms & Clovers, Great 88, Birds, and Sin City Nights. Play your favourite iSoftBet pokies at the casino. With over 60 pokies from which to choose, there is definitely something for everyone. Available iSoftBet pokies include: Basic Instinct, Beverly Hills 90210, Heavy Metal Warriors, Rambo, and Paranormal Activity. Enjoy classic pokies such as: Lucky Leprechaun, Happy Birds, Bewitched, Wisps, and The Best Witch. AU Slots Casino has some selected pokies from Quickspin and Xplosive. New additions from Quickspin include: Big Bad Wolf, Second Strike, Gold Lab, Titan Thunder, Jewel Blast, Spinions Beach Party, and Phoenix Sun. Xplosive pokies include: Jazz Bar, Robin The Good, SpaceLords, Farmer Bob, Spartan Heroes, and Wild Princess. The HD Live Casino at AU Slots is powered by NetEnt, Ezugi, and Evolution Gaming. If you are looking for the best offer that live casino games bring, then enjoy these Live Casino table games in HD: Live Blackjack, Baccarat, Roulette, Caribbean Stud, Casino Hold’em, and Triple Card Poker. Play over 800 pokies from the casino industry’s top game providers. Withdrawals to Australian players are processed ultra-fast (within 24 hours). All transactions made are encrypted with 128bit SSL security. Players from USA and UK are restricted from playing at AU Slots. All new players at AU Slots Casino are eligible to get a 100% Welcome Bonus up to €/$150. This bonus can only be used in the CASINO section. A minimum deposit of €/$20 is required for this offer. If you are a new player at AU Slots Casino, you are also eligible to take on the Cashback Welcome bonus. Claim 20% up to €/$200 Casino Cashback Bonus or 10% up to €/$100 Live Casino Cashback Bonus. The Casino Cashback Bonus can only be used in the CASINO section. The Live Casino Cashback Bonus can only be used in the LIVE CASINO section. **Players must contact support to receive their CASINO or LIVE CASINO Cashback offers. Only one player is allowed to receive one bonus at a time. The wagering requirement for Casino Welcome Bonus is 30 times (deposit + bonus). The maximum bet when playing with the Casino Welcome Bonus is €/$7,50. The wagering requirement for Casino Cashback Bonus is 2x (bonus). In order to be eligible for the Cashback Bonus, players must have a balance of less than €/$1 and you should not have any other bonuses in play. The deposit options at AU Slots Casino are: Visa, Paysafecard, Neteller, Skrill, MasterCard, Bitcoin, Neosurf, MyNeosurf and Ecopayz. You can deposit using the following currencies: AUD, USD, and EUR. Afghanistan, Albania, Algeria, Angola, Cambodia, Ecuador, Guyana, Hong Kong, Indonesia, Iran, Iraq, Israel, Kuwait, Lao, Myanmar, Namibia, Nicaragua, North Korea, Pakistan, Panama, Papua New Guinea, Philippines, South Korea, Sudan, Singapore, Syria, Spain, Taiwan, Uganda, United States of America, the United Kingdom, Yemen, and Zimbabwe. Please note that NetEnt games are not available in the following countries: Belgium, Bulgaria, Canada, Denmark, Estonia, France, Italy, Mexico, Portugal, Romania, Spain, United States of America, and United Kingdom. NetEnt games (Guns & Roses, Jimi Hendrix, and Motorhead) are further not permitted in the following countries: Australia, Azerbaijan, China, India, Malaysia, Qatar, Russia, Thailand, Tunisia, Turkey & Ukraine. The game, Aliens, is further not permitted in Japan, while Universal Monsters, Scarface, and South Park can be only played in the following countries: Andorra, Armenia, Azerbaijan, Belarus, Bosnia and Herzegovina, Brazil, Georgia, Iceland, Liechtenstein, Moldova, Monaco, Montenegro, Norway, Russia, San Marino, Serbia, Switzerland, Ukraine, Croatia, Macedonia, Austria, Cyprus, Czech Republic, Finland, Germany, Greece, Hungary, Ireland, Italy, Latvia, Lithuania, Luxembourg, Malta, Netherlands, Peru, Poland, Portugal, Romania, Slovakia, Slovenia, and Sweden.